Justin Jacob Long is an American film and television actor. He is best known for his roles in the Hollywood films Galaxy Quest, Jeepers Creepers, Dodgeball, Live Free or Die Hard, He's Just Not That into You, Drag Me to Hell, and Youth in Revolt, and his personification of a Mac in Apple's "Get a Mac" advertising campaign. 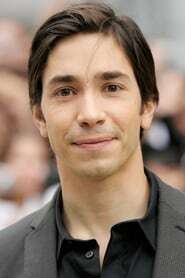 The database contains 214 images with Justin Long, divided over 28 titles.